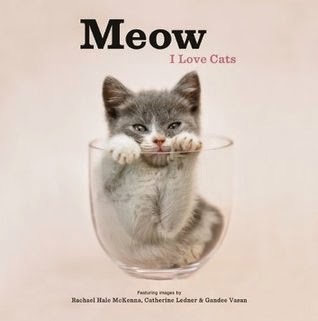 From Goodreads ~ This ultimate celebration of the cat features witty quotes about felines and images by three of the world's most beloved animal photographers. 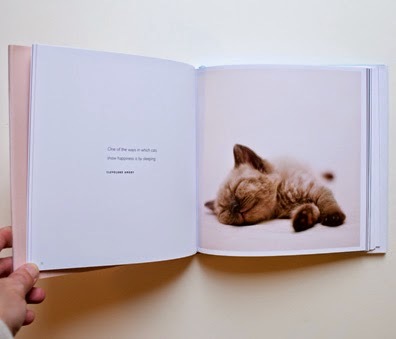 Whether playing, pouncing, or just purring contentedly, these are some of the most adorable kittens and cats ever to grace the printed page. I love reading books about cats so that's why this one caught my eye. How cute is that kitty on the cover?! The quotes are accompanied by beautiful pictures by Rachael Hale McKenna, Catherine Ledner and Gandee Vasan. Cat lovers will enjoy it.